Choosing gifts and souvenirs in Jordan is a real challenge if you are a tourist. 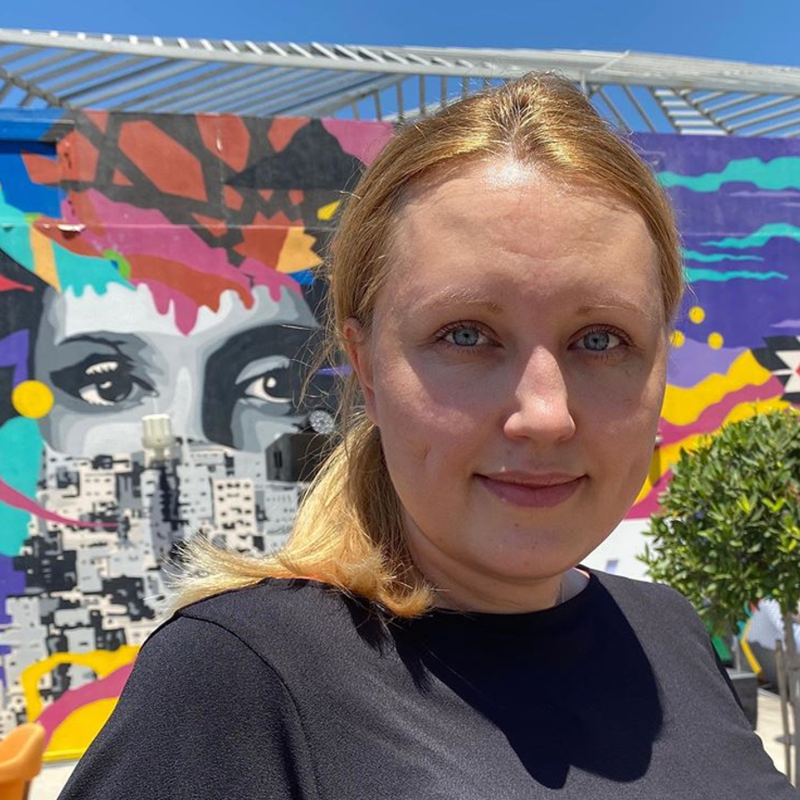 Well, to be honest, it's not as pushy and annoying as in Egypt, yet you still feel you are overpaying everywhere, especially in Petra, or Amman downtown area. 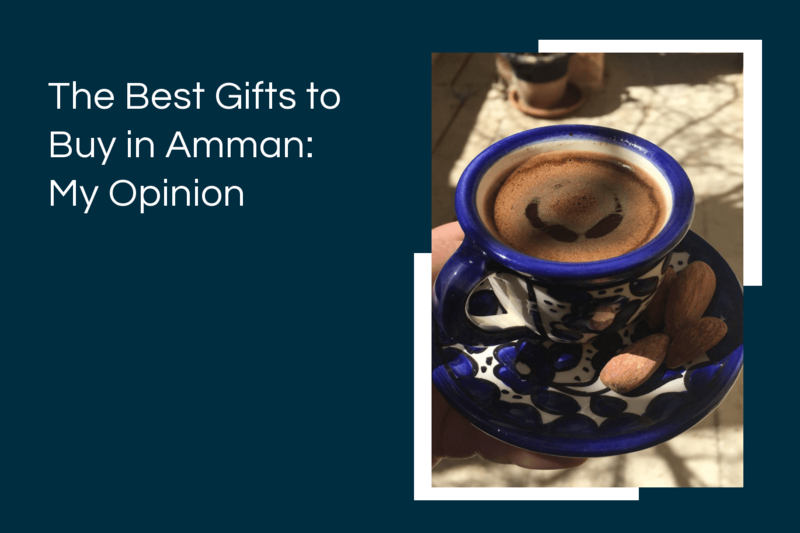 I have chosen a few proven places in Amman where you can get the best gifts for reasonable prices. 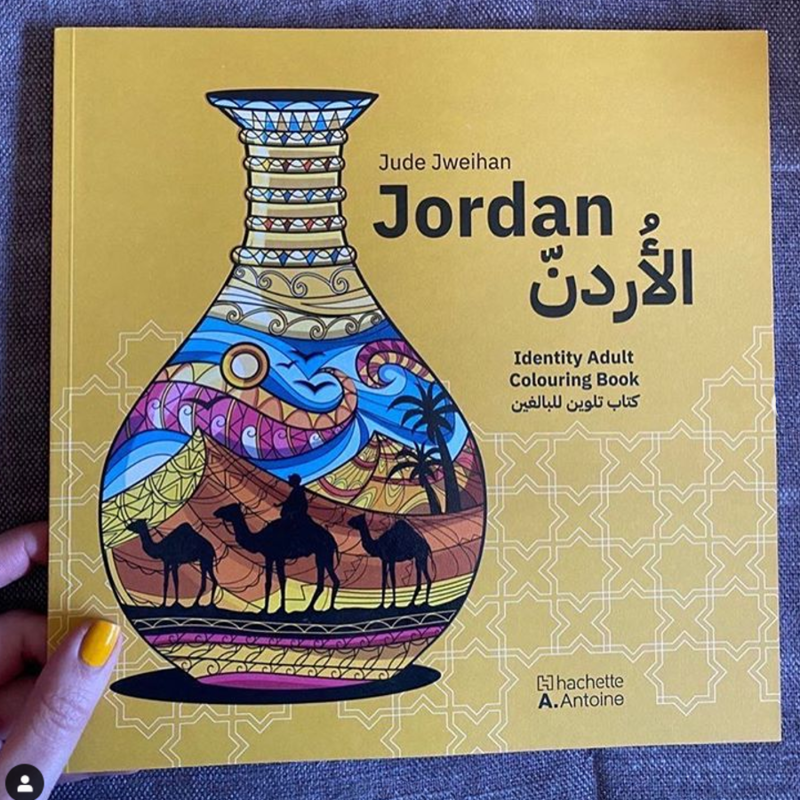 Yes, I know it sounds boring, yet if you are in Jordan as a tourist, it might be a nice idea to send postcards to your friends and relatives. And you will search them for a long time, I bet! 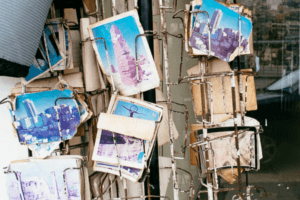 The cheapest yet decent quality postcards with famous Jordanian places you may find at Istiklal Library downtown, the price per postcard there is 0,25JD. 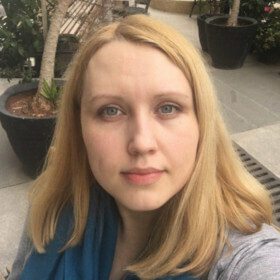 And if you want to send them, visit the central office of Jordan Post, it's right across the street from Istiklal Library! Unfortunately at the moment you can't buy any postage stamps in Jordan, it'll be only a sticker with the barcode. Sending a letter or a postcard from Jordan will cost around 1JD, it depends on the country. First of all, you should know that you are not allowed to bring home any of the sea salt and mud straight from the Dead Sea, it should be in a commercially sealed pack! 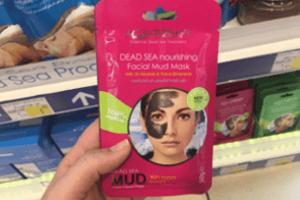 The best and cheapest way to buy Dead Sea products is to go to Carrefour, Cozmo or Pharmacy1, they often have discounts and their gift packs are definitely cheaper than anywhere else, you can buy a pack of salt for 2,5JD and facial mud masks cost about 1JD. 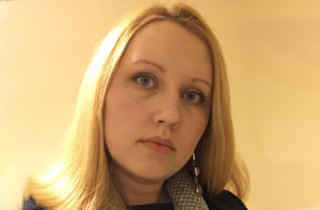 I prefer to buy mud masks as gifts, as it’s easy to use and a set of them is already a lovely gift. Try nourishing Mud Mask from Aqua Therapy, it's not drying your skin enormously and cleans your skin nicely. 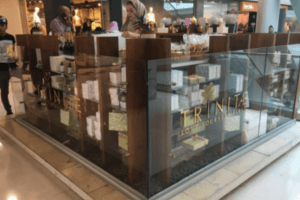 Yet if you are looking for something refined and magical, I highly recommend Trinitae, that’s where you can choose your special gift from Jordan for your mom or girlfriend! I recommend to check their Citrus salt scrub, it’s mixed with grape seed and olive oil, and it’s divine. 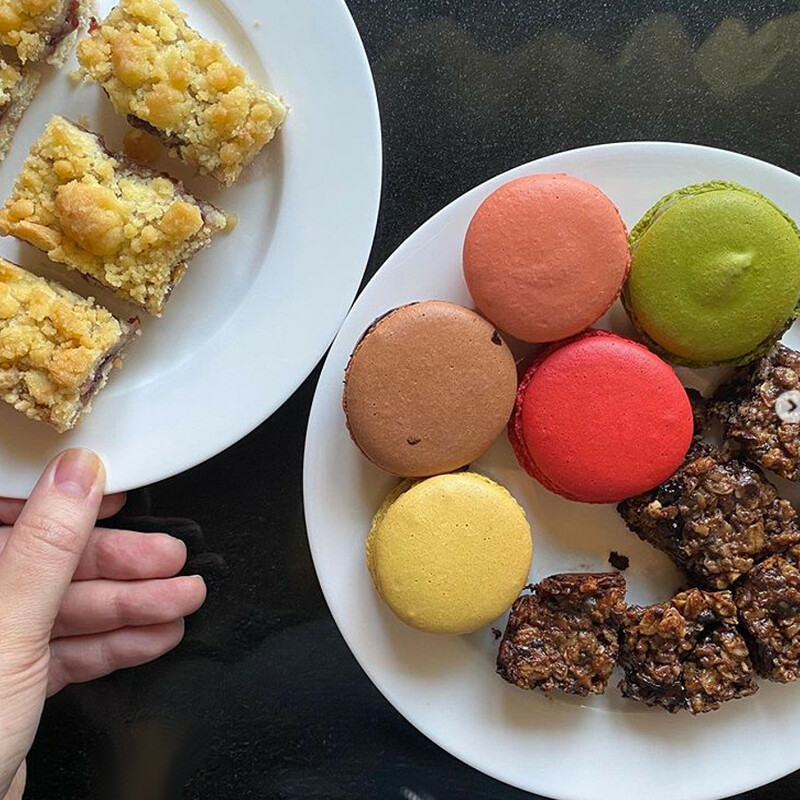 Trinitae has a counter in the City Mall, close to Paul Restaurant, and they are also located at The Soap House, Rainbow Street. 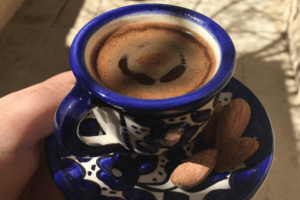 Online shop Souqbiladi offers gifts and traditional Palestinian ceramics. My heart stays forever with their blue floral pattern for bowls and mugs. The delivery varies from 6 to 12JD. If you are in a hurry, you can buy similar dishes at Al-Afghani in Mecca Mall. Al-Afghani also has beautiful silver jewellery yet be careful with stones, as mostly they are not real. 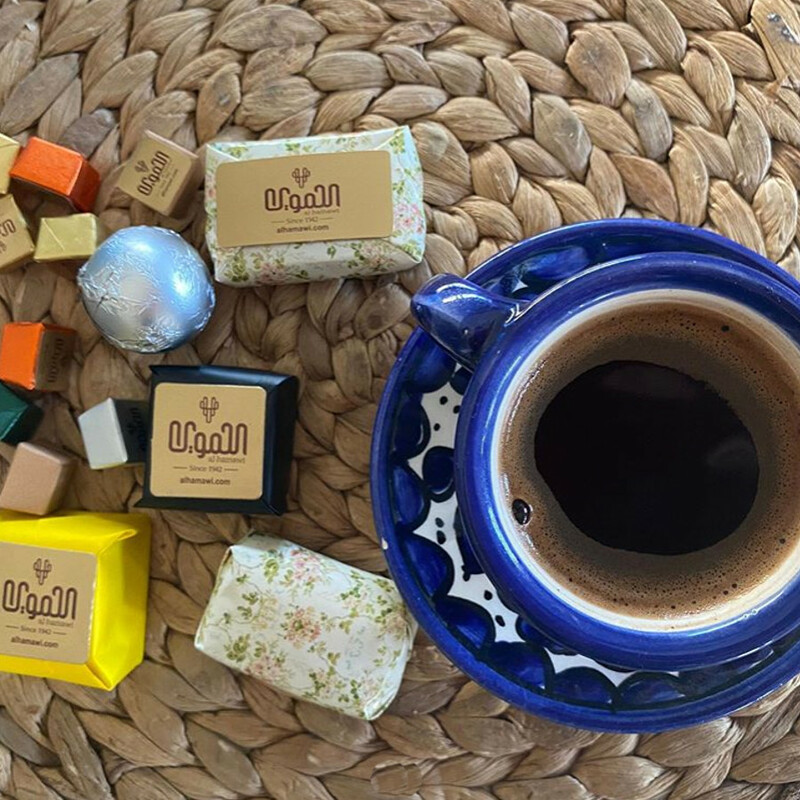 Other interesting products worth bringing from Jordan are soaps from camel and goat milk and traditional Palestinian black and white scarves (Kufiya). 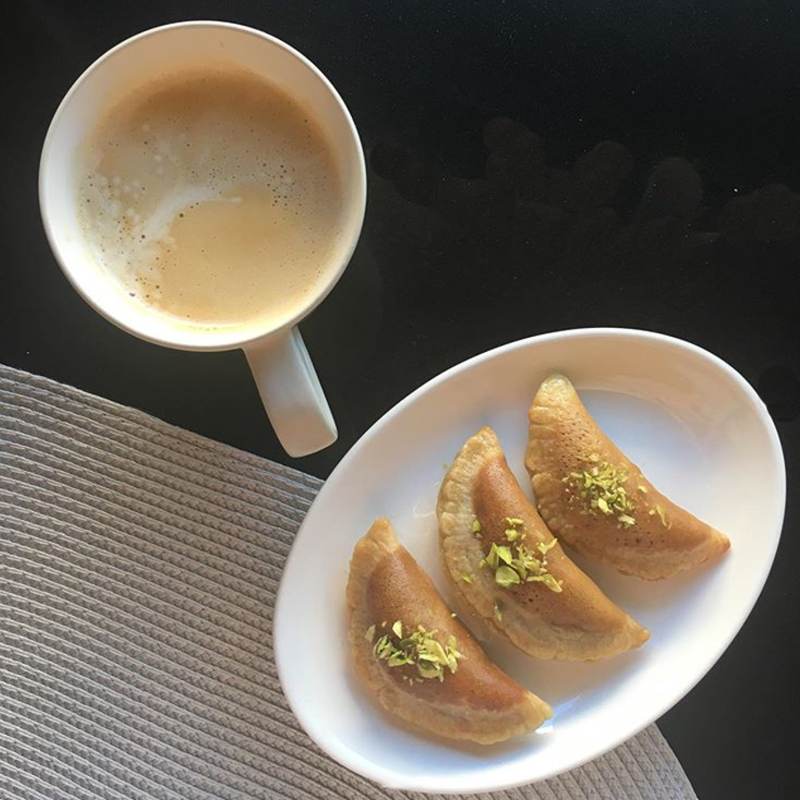 As dates do not require a certain temperature, they become a perfect gift one can bring from Jordan. My choice is for these green packs of Al Baraka farms, because of their solid yet not heavy package, it's rather important for the luggage. There are different types, and you are definitely going to be confused, so choose Medjoul or Khalas, trust me! 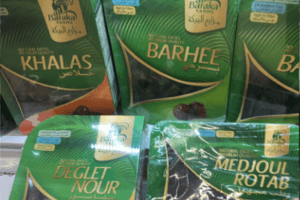 I usually buy them in Carrefour, yet they can be found in another big supermarkets, as well as at Al Baraka farms showrooms where you can try and choose dates or dried fruits. The price of dates is around 4 to 15JD per 1kg, depends on the quality. As for the spices, I suggest to buy sumac, it can be used as a mild replacement of lemon/vinegar for your regular vegetable salads. I personally find it works the best while being used with fresh tomatoes, yet you may improvise. You also need to get zaatar, an awesome blend of sesame seeds, sumac, oregano and thyme, just in case you decide to bake manaeesh at home, or just remember your Jordanian breakfasts and have a pita bread with olive oil and zaatar. And don't forget to bring some nuts, pistachios and almonds are always great in Jordan. 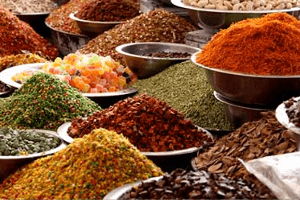 Usually they sell nuts and spices together, don't hesitate to try, even in the supermarket.